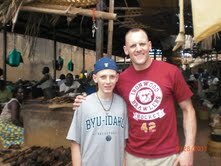 Shawn Gillies will be headed to Northern Uganda tomorrow for a 2 week trip. He will update the blog so we can see his progress. 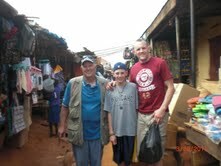 He will be staying at St. Jude's Orphanage in Gulu. While there he will be doing APF work as well as purchasing more beads and styles of jewelry. We had wonderful donations given for the trip. Several women sewed dresses for Shawn to share. One of the women who made the dresses is 89 years old and made 22 dresses! We are also grateful to the Glacier Park LDS church for donating 100 humanitarian kits! Shawn will update the blog throughout his trip. Stay tuned!